And nice to see you never gave up on the dream. 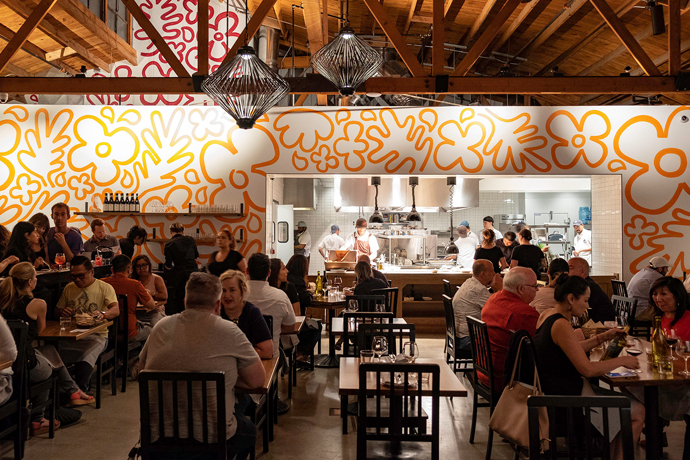 On the left: light spills through greenhouse glass onto blond-wood tables, onto your shoulders, onto your coconut-juice-braised pork belly and banh mi deconstructed into a panzanella salad... and onto the dim sum cart rolling by with something the chef felt like cooking. Something that just really needed to be on wheels. On the right: a moody, dark lounge for slinking into the dusk with a date. Order them a Green Envy (with vermouth, sherry and carbonated green tea) made by Hinoki’s old head bartender. Discuss important/frivolous issues of our times. And at the center: the 14-seat chef’s table, your celebration seats. That’s where chef Shawn Pham, a Sona/Bazaar vet, will get creative. He really likes getting creative in increments of 14.